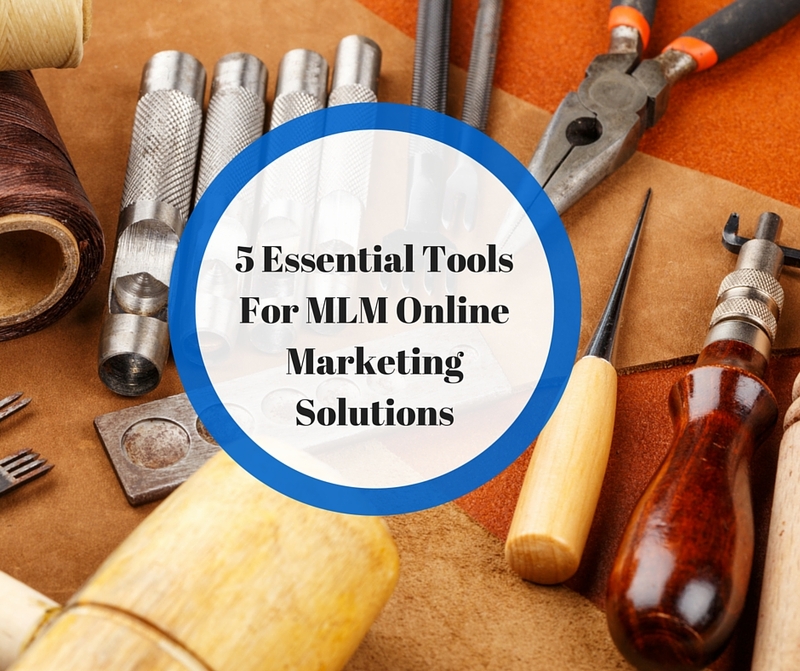 If you have wondered exactly what tools you need for all of your MLM Online Marketing Solutions, then be sure to read this post all the way to the end. You may be someone who is just getting started doing Network Marketing online and have no idea exactly what tools you need to make this happen. It seems like I get asked this question on a daily basis. People who are wanting to build using MLM Online Marketing but just don’t know where to start. It’s really very easy if you just break it down into the goals you have for your online marketing. Your first question should be what am I trying to accomplish with my online marketing? Am I just trying to promote my Network Marketing Business or am I really trying to build MY brand so that I will having a sustainable business. If your answer is the second then you are on the right post. I believe there are 2 main goals when it comes to MLM Online Marketing. Once you understand that, it becomes very straightforward on where to go next. FREE VIDEO RevealsHow to Get More MLM Leads, Sign Up More Reps and Start Making BANK on Everyone Else Who Said ‘No’ to Joining Your Team! I believe this is the most important part of the equation. You may choose to use things like Social Media and Paid Ads to market, but I believe the one thing you own and should be your baseline home for marketing is your BLOG! You own your blog, not like the other sites that you may use to market on. I can’t tell you how many top marketers have had their youtube channels shut down or Facebook page taken down. Having a blog with valuable relevant content on it will last forever. You will find people finding an article that you wrote years ago and getting a lead or new rep from that. I’m not suggesting that these other methods aren’t great I just believe that everything should point back to your blog. If you want to collect leads then you need a place to keep them and a system that you can keep in daily touch with them. That’s an Autoresponder. There are a lot of systems out there to choose from, but my recommendation is Aweber. 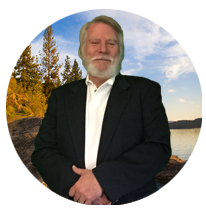 I believe that they have the simplest and most robust system out there for the price. That is the system I use and I love it. With your Autoresponder, you can keep in touch with the leads that you capture and constantly be giving them value. This is the system you need to actually capture your leads and visitors information. I’m sure you have gone to websites out there and you have been asked to give your name and email for some great product or free gift. The page that you go to is called a lead capture page and having a way to do this is critical. I will explain how it all goes together at the end. This is one of those things that I wasn’t sure I needed until I got it and started using it. Understand what you can track you can change and make better. A CRM (Customer Relationship Manager) allows you to track your interactions with each lead and track your progress with them. If you really want to build a great organization you will need something like this to keep track. Last but certainly not least is your Lead Magnet. If you are going to be doing MLM Online Marketing then you are going to have to have something that attracts your visitors to give you their information. This could be a Free Gift of value, a free video of training or even a free PDF. It needs to be something that is congruent with your message and who you are and it has to be something of value. Well, there you have what I believe are the 5 Essential Tools for MLM Online Marketing. How Does This All Go Together? Create Your Lead Magnet to draw them in. Track and follow up all your new leads. Once you have these items together and they don’t have to be perfect, it becomes just being consistent with creating content. MLM Online Marketing or any online marketing is about giving valuable content on a consistent basis. If you want to become great at MLM Online Marketing then that is what you will have to do. If you enjoyed this post, 5 Essential Tools For MLM Online Marketing Solutions, then you will like this one too…4 Easy Steps How To Start Blogging and Start Getting Leads. I believe if you are branding yourself correctly, then focus on getting traffic as the leads will follow. Perfectly detailed blueprint for MLMers to follow! You can’t get it better than this! Great post Ron! Thank you for you kind comment April….. Awesome blogpost Ron! Tools are essential for building a blog! Awesome Ron! I used those 5 tools every day, thanks for sharing this!! Ron: In all the mumbo jumbo out there in the blog-o-shpere, you’re stuff just makes sense! THIS is how people want to read a blog when they are really fishing for info that’s going to help them. GREAT job! wow…thank you so much for that kind comment Nate…. Great Ron! I use these as well. Frankly, cannot do without it. Great post! If anyone is looking for a paint by numbers type of post, this is the one. Thank you so much Mike….. Awesome Video Ron, Thanx for the tips. Thank you Linh…. if it wasn’t for my mentor I would probably still be struggling…. Agree. Better have those tools in order to call your biz a business! Start blogging people. Let people know who you are. They are buying you more than what you are selling. Great post Ron! It is really hard to convince people that a blog is so important. Thanks for sharing! Great post Ron! You cover all the important basics that a person needs to get started and be successful when starting a MLM online business. Thank you Diana for the comment…. I use all of the tools you recommended Ron and I will tell you they WORK! Thanks for the helpful tips, Ron. AWESOME post! When I first started in the industry all the terms and tools confused me, I didn’t know what they were, where to get them, or how you put it all together…wish I had this info back then! I’m sure this will help many people! I LOVE simplicity. You broke this down perfectly. I remember when I WISHED I had a single post just like this. Oh man! You just spared someone tons of headache and time wasting. Good stuff Ron. Great advice Ron. Very easy to understand steps for people who are just getting started online. Great post Ron! Tools are pretty much the same for whatever business you run online. I meet many people who are not willing to invest in tools and they usually stay broke for much longer than needed! Ron, thank you for your detailed BLUEPRINT. I appreciate the simplicity of your blog post anyone can apply your tips.